The Get In The Car Group (#getinthecar) is excited to announce that we have booked Mo N. from the Fenton Big Book Group in St. Louis, MO to come share her experience strength and hope with our group on Friday, May 31, 2019. Mo is a Past Delegate (Panel 63) to the General Service Conference of A.A. for the Northeast Texas Area 65 and is dedicated to serving the Fellowship in every way she can. She brings an enormous passion and dedication to carrying our message of recovery to the still suffering alcoholic. With a love for the Fellowship and a wickedly fun sense of humor, we are sure to be blessed by her message. On a beautiful January evening (January 4, 2019) in Grapevine Texas, 45 drunks from all over the D/FW area came to support our little group for its very first meeting. Upon arriving at the Center of Unity in Grapevine (our new home), folks were greeted at the front door by handshakes, hugs, warm smiles, and warm hearts. There was an energy in the room that was palpable. Alcoholics coming together for one reason and one reason only – to experience a deep and rich personal experience of our basic text. Terry C., one of our three founders, chaired our first meeting and did a bang up job. Thanks Terry! The hard work we had done to prepare us for this first meeting all came to fruition tonight. But no one could have foreseen what was to unfold when the book study actually started. The original format was to be that we would read the book (just read) from 7:45pm-8:15, take a 15 minute fellowship break, then come back from 8:30pm-9:00pm for sharing on what was just read. 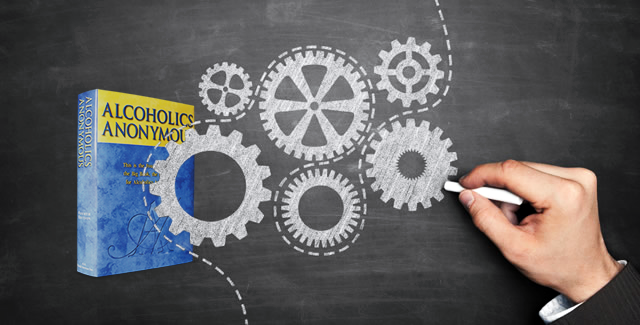 God doing for us… in the moment, the format took a drastic change and open sharing began. Questions were asked… definitions we read from the dictionary, and a discussion that nobody saw coming was born. It was incredibly beautiful to sit back and watch it unfold – just the way God wanted it to be (regardless of what WE had wanted it to be). Terry would call on someone to read, they would share on what they had just read, and then anyone in the room who wanted to provide their experience on that passage, or ask a question about it jumped in and the discussion continued to unfold. By the time the fellowship break came – the founders all just sort of looked at each other in amazement and realized in that moment that the format was taking on a life of its own. It’s not what we had planned, but it certainly was what was supposed to be. When we came back from break – we continued reading, the discussion continued and you could almost see the amazement in the room at what was taking place. When the meeting was over, one of the women (not a member of the group) who was there came up to one Rick W. (one of the three founders) and said, “This is THE coolest A.A. meeting I have ever been to.” Stuart R. who was visiting from the Simply AA Group in Irving said after the meeting that he loved what the format morphed into and would definitely be back next week. It was our goal from the very beginning that members and visitors alike who came to tonight’s GITC meeting left with a little bit more information about our book than when they walked in. Time and time again we heard that we accomplished that goal. Another very special experience for the members in attendance was the presence of the group of guys that “got in the car” and drove all the way from the Altered Boys Group in Oklahoma City for our first meeting. GITC owes a debt of gratitude to that amazing group in OKC because what we experienced tonight was due in large part to the incredible message of recovery and unity that group embodies. We cannot thank them enough for “getting in the car” and driving down to support us tonight. Thank you guys. We love you! Finally, a massive thanks goes out to each member of GITC who showed up tonight to help setup and tear down. Our Hospitality committee did an amazing job of keeping the coffee flowing and the goodies at the ready. We are so lucky to have so many wonderful miracle people who have taken on trusted servant roles to ensure that GITC continues to stay focused on carrying a clear and adequate presentation of the program of A.A. We could not have done it without you. Thank you! 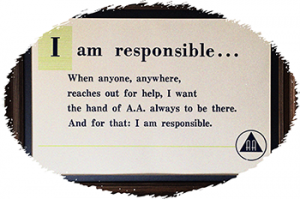 Now that the first meeting is over, we can begin to settle into a routine, make the minor adjustments we need to make and diligently work at our group’s primary purpose – to carry the message to the still suffering alcoholic. In eight (8) days, the Get In The Car Group of Alcoholics Anonymous will have its very first official meeting. The 14 official members of the group are excited beyond measure to begin this journey together of diving into our basic text and we look forward to sharing that journey with other A.A. members in the DFW area. One of the cool additions to our study that is likely unlike any other book study in the DFW area is that we have added a service commitment to our group called “Dictionary Steward.” As we are reading the book, if anyone in the room needs a definition to any word in the text (and if you’re anything like some of us – Bill’s choice of words will have you scratching your head too at times), you can raise your hand, ask for a definition, and our Dictionary Steward will look up that word in both the Webster’s and Big Book dictionaries and then go back and read aloud the sentence that contained the word in question WITH the definition in it. It’s just one of the many ways we hope to take a deeper, richer look at our text. We will study these sections of the book in this order every Friday night. 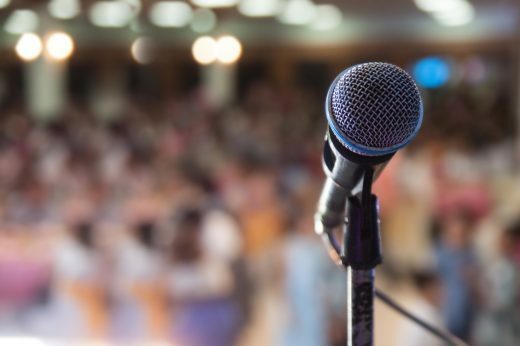 On the last Friday of each month, we will host an open speaker meeting where we will be bringing in speakers with personal experience on our basic text to share their journey with our members – and we will be celebrating member’s birthday in that month (if there are any that month). DOWNLOAD our group flyer to see a list of UPCOMING SPEAKERS. 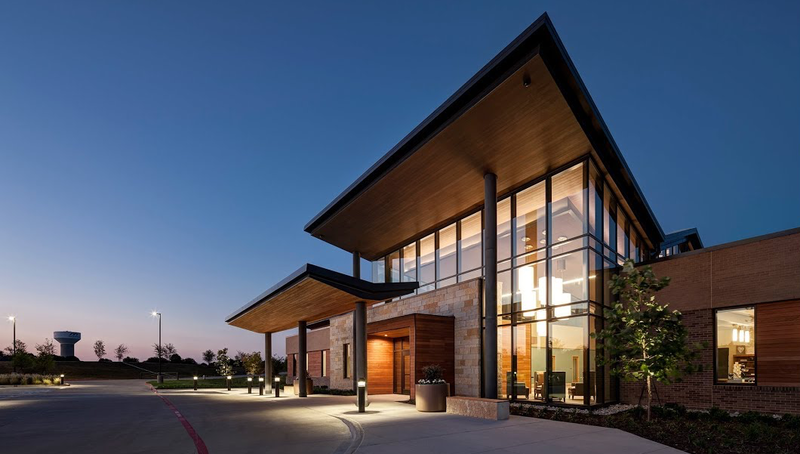 Please plan on joining us for a meeting – we look forward to welcoming you to the Get In The Car Group of A.A.
On Thursday, August 23, 2018, members of GITC got in the car and attended our first treatment center commitment at the Texas Health Recovery & Wellness Center (Adolescent), 240 N Miller Rd. Mansfield TX 76063. The center was in its very first week of operation and they had only one resident. Members shared their experience, strength and hope with the resident, and he shared his experience and what brought him there. 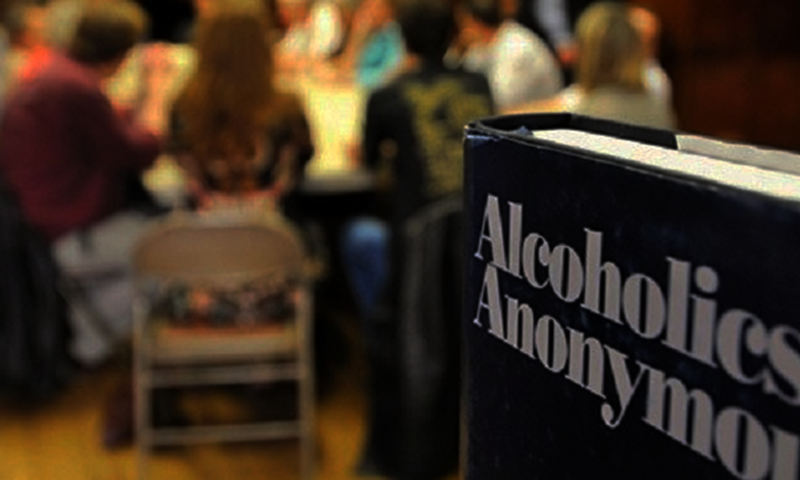 We read from the book, Alcoholics Anonymous, talked about what the solution looked like and where it could be found, and left feeling very grateful for the experience. We look forward to continuing our commitment to serving outside the group and helping to carry the message to the still suffering alcoholic. We were certainly blessed by it and know that it helped each member stay sober for one more day. It is our hope and prayer that we planted a seed for that resident that will help him on his journey of recovery. 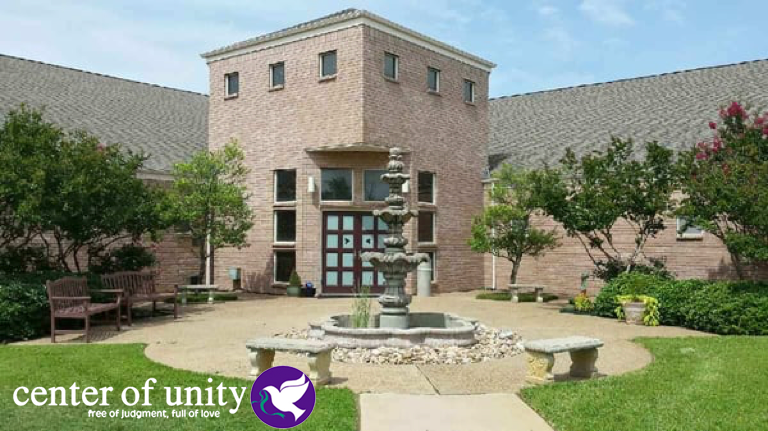 On Friday, June 29, 2018, one of our founding members, Rick W., met with the staff at Center of Unity Church in Grapevine to see if they would be interested in hosting our new group. After meeting with the church administrator (Mary), one of the pastors (Bill), and taking a tour of the facilities, it felt immediately like home. Rick took it back to the other two founding members to see what they thought – and instantly, we all felt like it was the right decision. The church sent us the contract that day for space rental and we signed it immediately. We feel sure that our members, and anyone who attends a meeting in the space with us on Friday nights will feel the warmth and love of God ever present!